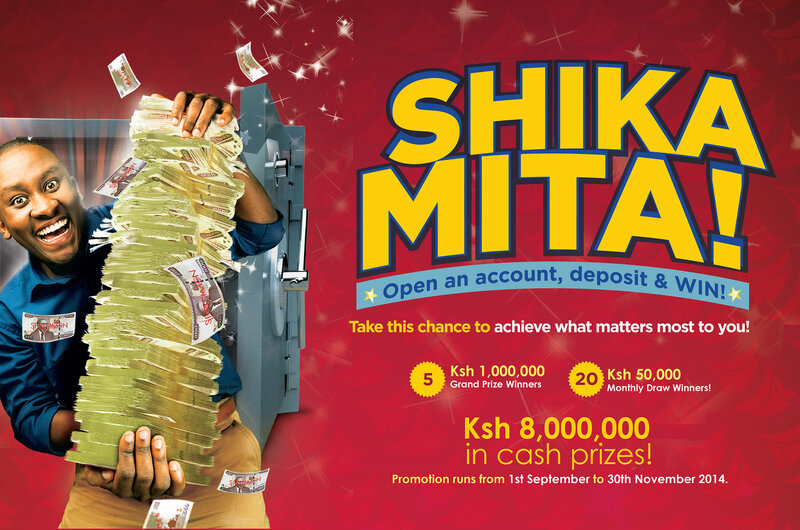 After Chase Bank Kenya launched Shika Mita less than a month ago, Family Bank has followed suit with “Tajirika Na Mamilioni” aimed at retaining their 1.5 million customers and as well encourage them to deposit more. The three-month promotion began on October 27 and runs until January 27, 2015 where the grand prize winner will take home Ksh3 million and others between Ksh200,000 and Ksh1 million in cash prizes. The requirements for participation include one opening an account with the Family Bank, then deposit and maintain a minimum balance of Sh5,000 till Januray 27. Existing customers will also have to deposit and maintain a minimum balance of Sh5, 000 for 3 months to qualify for the promotion. According to the bank, the more deposits one makes, the more entries and hence the more chances of winning. Cash prizes include Ksh 3 million for the 1st prize, Ksh 2 million for the 2nd Prize and kSH 500,000 for the 3rd Prize. The monthly prizes include Ksh1 million for the 1st prize, Ksh 400,000 for the 2nd Prize and Ksh 200,000 for the 3rd Prize. Though the bank says the promotion comes on the backdrop of its rapid expansion countrywide to bring financial services closer to the customers, it’s exisiting customers are not happy and leaving the bank in droves to others. A Family Bank customer who spoke to us on point of anonymity said she wouldn’t get her money via the firm’s PesaPap on her first tries and when she tried hard, the transaction went through according to the bank but wasn’t reflecting on her M-Pesa account. It took the bank days to refund the cash. She added that some of the banks systems don’t work and most banking processes are done manually and take days to be effected.